The notification of the exam was released by NISER Bhubaneshwar on 7th January 2019. The last date to submit the filled application form was 11th March 2019. This date was later extended to 18th March 2019. According to the official notification, admit cards will be available online at nestexam.in from 24th April 2019 till 1st June 2019. The exam will be held in two shifts on 1st June 2019, at multiple venues in 91 exam cities all over India, in online or computer-based test (CBT) mode. What is the exam timimg for 2nd session?? 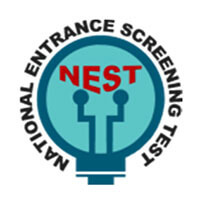 NEST 2018 exam Timing for the 2nd session is from 2:00 pm-5:00 pm. when will be NEST 2018 result declared? The declaration of NEST 2018 result will be on 18th June 2018.